LUCY DONOVAN HONOURED IN FAMILY BEQUEST 15 descendants of Mrs Lucy Donovan, from all around Queensland, returned to Killarney for the opening of a new building at Killarney Aged Care, last Thursday. The building, officially opened by Dr Leith Geisel, was named in honour of Lucy, following a bequest by the Donovan Family. The building was completed by Roulston Builders, and provides a number of new nursing home beds, and a large and modern multipurpose area for residents. Lucy’s son, Peter Donovan, addressed a crowd of 60 people gathered for the opening, and related stories about his mother’s hard work on the family property at Koreelah, before she moved back to Killarney, and eventually to Killarney Aged Care in her later life. As a member of the Howell family, Lucy was born and raised at “Melrose’’, just outside Killarney. Lucy enjoyed painting, and one of her works, a seascape, was presented by the family, to Killarney Aged Care, to hang in the new building. In declaring the building open, Dr Geisel noted the large demand for health and welfare services in the area. “Our GP service has been operating from rooms at Killarney Aged Care for seven years, and we now see up to 50 patients a week in Killarney”, Dr Geisel said. 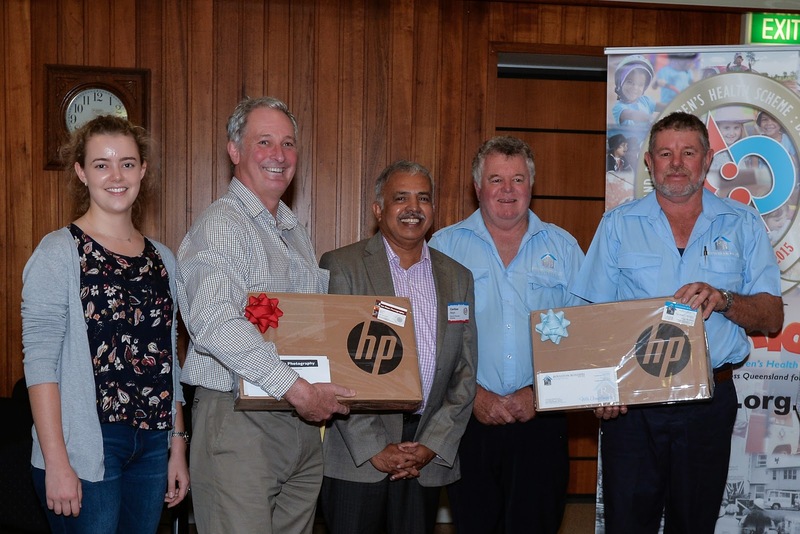 “Killarney Aged Care now has 48 Residential Aged Care Places, provides Home Care Packages and has 8 Independent living units”, according to Janine Hegarty, Facility Manager. “With Stage 1 of our future expansions now complete plans for stages 2 and 3 are well underway. This will take us to a total of 56 Aged Care Places. Among the features in Stages 2 and 3 will be 30 Large, modern rooms, along with a new state of the art kitchen and laundry. A retirement village is also being planned across from our main facility to further enhance our services” The Donovan family were welcomed to the ceremony by the Chairman of Killarney Aged Care, Mrs Lyndall McCormack. Mrs McCormack said the Donovans were well known in the district for their community service, and that the Facility was indebted to the late Mr Don Donovan for generous bequests over many years. “Don often talked about the high standard of care his mother, Lucy, received in Killarney Aged Care. Don was a private and generous benefactor over many years, and we are very proud to name the building in Lucy’s honour.” Mrs McCormack said that Killarney Aged Care had also received a grant from the Federal Government to complete The Lucy Donovan Centre. Stage 2 of the expansion, which was announced by local MHR David Littleproud in May, will receive funding of $5.5m from the Federal Department of Health and Aging over the next two years. Mrs McCormack said, “We are working towards having a comprehensive range of quality accommodation available, so our older and disabled citizens do not have to move away from family and friends”. The opening was attended by Greg and Doug Roulston. 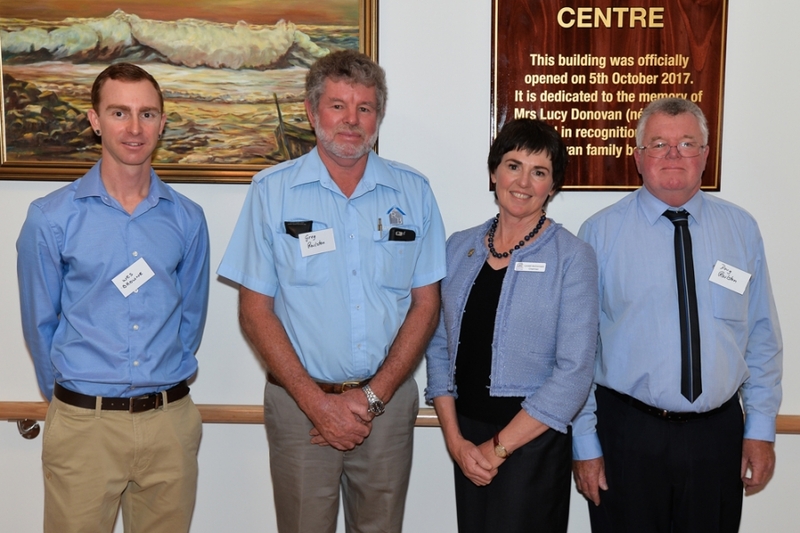 Roulston Builders completed the $1.1m Lucy Donovan Centre in July. “The project was on a tight timetable. 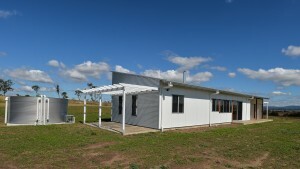 Despite the flood conditions in January this year, just as the project was starting, we made sure it was ready to move into by the end of June.”, Mr Roulston said. Roulston Builders did a fabulous job of the extension to my new house. Armed with only a very rough draft from myself Ian Drewett Draftsman designed the extension and the new en-suite, walk in robe and linen cupboard doing a fantastic job of the plans. Once the plans the were approved Roulston's then started on the en-suite and walk in robes and linen cupboard once these were completed they then started on the extension. First they had to pull the back of the house down with the old run down bathroom and laundry in it. Once they had pulled it down they then started on the extension with the new bathroom, bedroom, laundry, powder room and butlers pantry. We lived in the house while they were doing the building work and the builders were very accommodating and always very professional and best of all did a marvelous job. Whenever I have people over they always comment on how great the house looks. We needed a compact yet functional off-grid farm house near Killarney which would provide a cosy retreat in winter and a cool refuge in summer, with a defined budget in mind. Designed by architect, Jim Gall, drafted by Ian Drewett, and now built by Roulston builders, we have the perfect house. Modelled as a 10-star energy-rated house there were several unusual aspects of the build. We also wanted minimal disturbance on our farm. 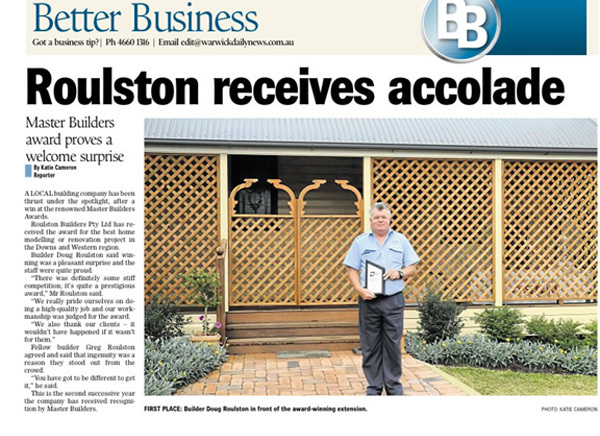 This did not pose any problems to Roulston Builders as they are very capable builders, project managers and communicators. Throughout construction we were confident the project was in good hands. Any questions asked, were always answered promptly. When we inspected the site it was always tidy and it was clear that the team of builders and various sub-contractors all worked well together. There is a high degree of trust, mutual respect and a genuine focus on quality throughout the team. Their attention to detail and overall craftsmanship is admirable. When the house was completed their versatile team even respread the topsoil so we could restore grass easily around the house. The house sits comfortably in the landscape and we are thankful to all who have contributed to this beautiful retreat. Perhaps we’d been watching too many ‘Grand Designs’ programs on TV as large complex house projects lurched from crisis to crisis. We learned through this experience that, with good design and planning and by engaging the right builders, it is possible to have a truly pleasurable experience building a house. 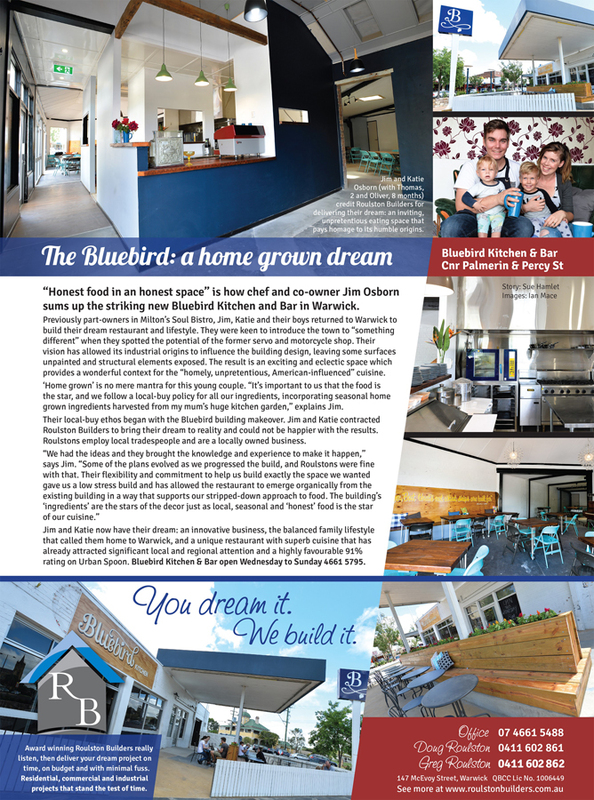 This was what we enjoyed from beginning to end with Roulston Builders. “The Roulston's made the renovation of my home a pleasure. The project was completed on time and on budget. Their care for detail and the quality of their workmanship was outstanding. 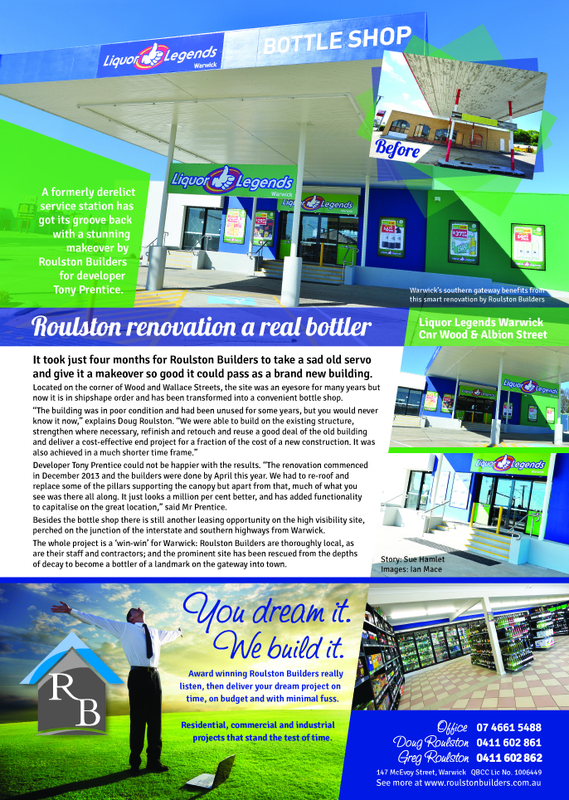 Our company has engaged Roulston Builders on two occasions to build commercial and industrial buildings. Personally, I have also engaged them for renovation works on our family home. I would have no hesitation in recommending the Roulston Builders team for any commercial, industrial or residential project. We have found them to be honest and reliable, and their workmanship is of a high standard. Their experience is also another outstanding attribute. I was impressed at their ability to find practical solutions to solve issues, and their “can-do” attitude was very much appreciated. As a business owner, it was a positive experience to deal with Roulston Builders and I look forward to engaging them on further projects. 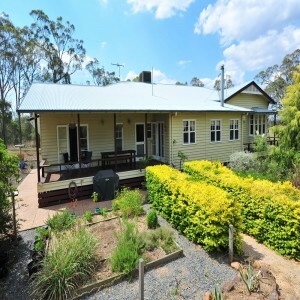 In February 2009 we we’re lucky enough to move into a beautiful home and understand that you we’re responsible for the construction and complete renovation of our Queenslander. We felt compelled to let you know that every part of our home is exquisitely built to a standard that we haven’t experienced before. Our neighbours tell us stories of the construction in 2003 and inform us that the original home was unrecognisable. We count ourselves lucky to now own our very perfect family home. We could not recommend Roulston Builders more highly. As we live in Brisbane it was always going to be a little tricky supervising what was happening with our renovation in Warwick. Our worries were for nothing. Over the 12 month period it took to complete, we never had a problem and any issues that did arise were easily dealt with. Nothing was ever too much trouble and any changes that were needed were done without a fuss. The workmanship was superb and their attention to detail was fantastic. Doug and Greg were both a delight to deal with and we were often thankful for their calm manner and sense of humour. Mention must be made of Phil, our foreman, who did a wonderful job. We would have no hesitation in using them again and would highly recommend them to anyone. We have had the pleasure of working with Roulston Builders on two occasions – in 2008 for a major renovation on our house, and in 2012 Roulston Builders project managed the expansion of our Optical Practice, MyOptical Warwick. Both projects were handled in a professional manner by Roulston Builders, and the end result was excellent – quality through and through. We are very happy to recommend Roulston Builders and their highly experienced and efficient team. Our home is about 20 years old and we wanted a builder who could put old with new and it didn’t look out of place. After talking to the Roulston brothers we soon came to believe that we had found our builders. From the day the ensuit started we found the everything went smoothly. The workmanship was excellent. The work site keep clean and tidy. We were able to talk to the builders and they did as we requested. When we next need a project tackled we would not hesitate to contact Roulston Builders Pty Ltd. It's always a pleasure to work with Doug & Greg and all the team at Roulstons. 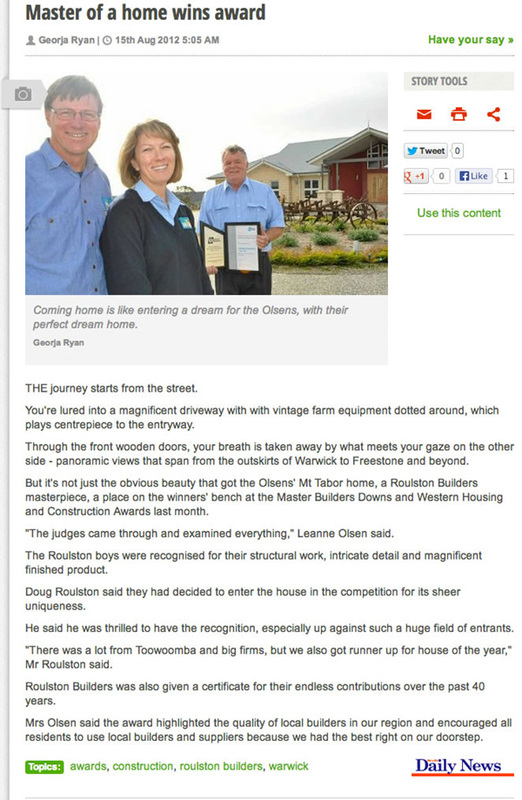 Roulston Builders have a slogan ”You dream it. We build it.” And that’s exactly what happened with the extension to Ross and Donna Fraser’s 1890s Queensland Colonial in Warwick. There was plenty of space to the southern side of the building and a great view, obstructed by the back wall of the kitchen and a 1960s besser block garage. Stage 1 would involve building a replacement garage as a sympathetic extension to an existing outbuilding, incorporating a pool room and bunk area linked to the cottage. Less than a year later, armed with basic floorplan and perspective drawings, the Frasers were talking to Doug Roulston about structural aspects and materials for Stage 2 - a large open plan living/dining room, open to the existing kitchen, with adjoining bar and powder room. After a rough estimate of cost, it was back to the drawing board, making minor adjustments for economic or engineering requirements and constraints. In the hands of draftsman Ian Drewett, conceptual plans became reality and, in the expert and professional hands of Roulston Builders, the Frasers’ dream was built. With experience in heritage-home renovation and restoration, Donna Fraser believes an extension to a character home can be approached in one of two ways. “Basically, the extension needs to be either a contrasting modern-build or a seamless blend with the old. “We chose the latter, taking opportunity to make an under-roof link to the existing outdoors entertainment pavilion. The late addition of a curved-iron roofed verandah to the west completed the picture”. Internally, ceiling height, timber floors and T&G linings of the main house were replicated, using modern materials. “What is new does not pretend to be old”, Donna Fraser says. Narrow-planked red ironbark contrasts with the original wider pine flooring of the kitchen; gyprock ceilings echo original pressed metal elsewhere with matching deep cornice and moulded ceiling roses; double-hung cedar windows match the proportions and configuration of the main house; chimney breasts are finished with round-edge plaster; the fireplace mantel and bar cabinetry replicate internal mouldings. On the technical side, what might have been a cold, cavernous space is rendered warm and comfortable by quality insulation with waffle-pad under-floor. Laminated panes to windows and french doors perform well in temperature extremes. A double-act of wood- and gas-fuelled heaters provides instant or round-the-clock warmth. In summer, the combination of insulation and cross-ventilation negates the need for air-conditioning, directing air-flow from the main-house evaporative cooling. “It works,” the Frasers say of what they affectionately call ‘the green room’. “Visitors remark it feels like it was ‘always here’. One, who had not been here for a year or so, said 'It has turned a great house into a magnificent home'. " I am pleased to say that the Warwick Benevolent Society Inc, t/a Akooramak Home for the Aged, has had a very long and fruitful relationship with Roulston Builders, firstly with Reg Roulston, and currently with sons Doug and Greg. Roulston Builders constructed the first thirty (30) bed section of Akooramak, including commercial kitchen and laundry, lounge, dining and sunroom in 1972. They have continued to apply their knowledge, expertise and construction and design skills on many projects since. 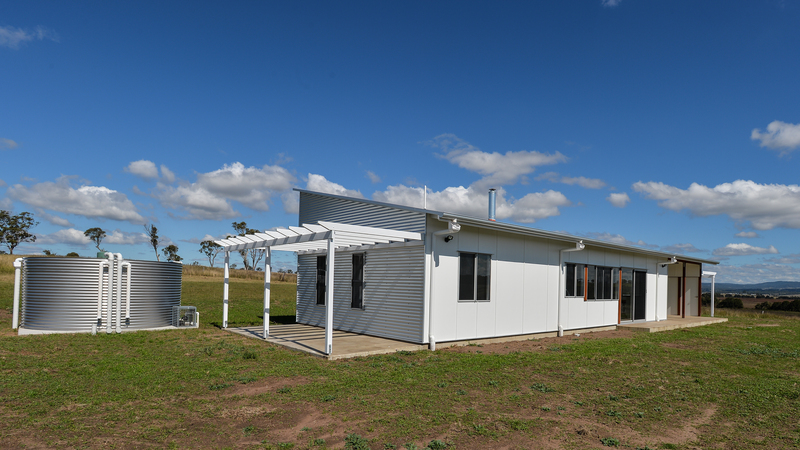 The design and construction of accommodation and associated facilities for residential aged care, including care of those people with special needs, such as dementia care, requires specialised knowledge. Roulston Builders have worked in full cooperation with the Benevolent Society, our Engineers, and most particularly our skilled staff, to develop, construct and finish our secure dementia care facility (2008) and our latest high care wing (2009), as well as a range of minor works over many years. The quality of finish of these projects has minimised ongoing maintenance and ensured full functionality. This is very important to us as a “not-for-profit” organisation. A significant consideration in undertaking building and construction work within a fully operational residential aged care facility is the minimisation of disruption to staff and most particularly our residents. Roulston Builders have never failed to take appropriate precautions or provide due consideration in this regard. I am only too happy to endorse them as our preferred builders. Wickhams Transport on the go!